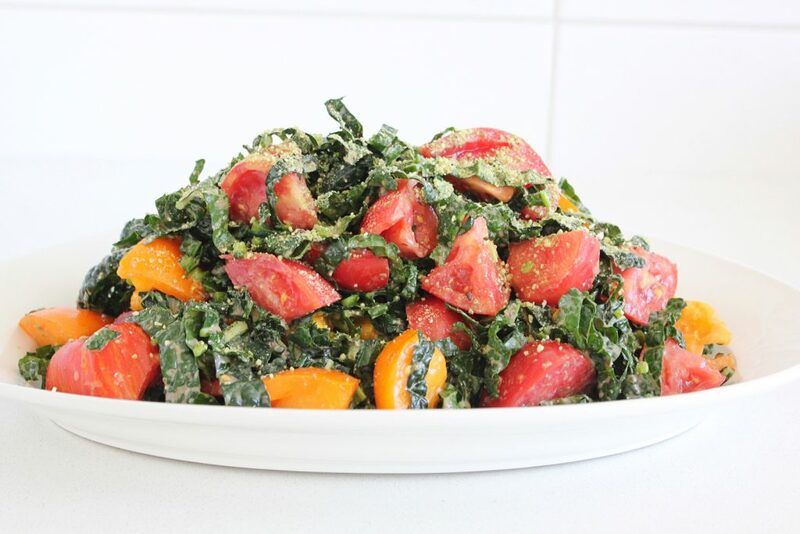 The dressing is a bit like Caesar dressing, which tames the wild kale vibes and somehow helps the tomatoes shine through the twisted jungle of green. 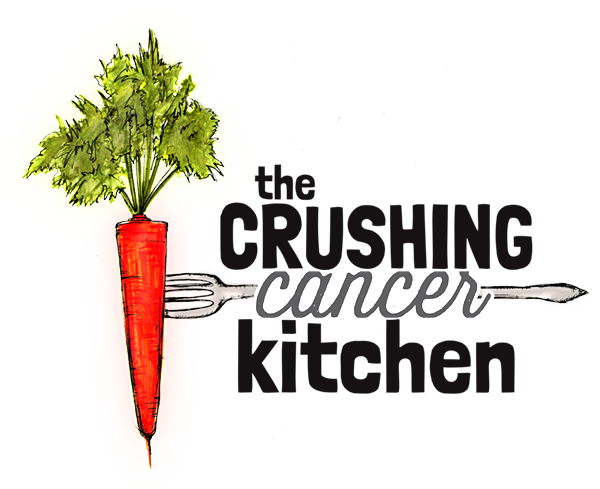 Although they are powerful cancer crushers, raw crucifers (in this case, kale) can wreak havoc on your thyroid. 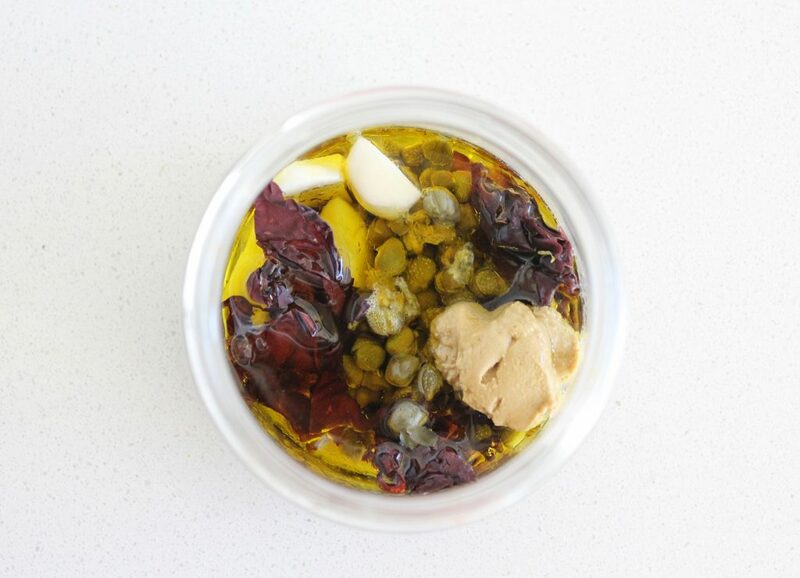 This salad dressing contains dulse, a sea vegetable (seaweed) that we use a lot around here. 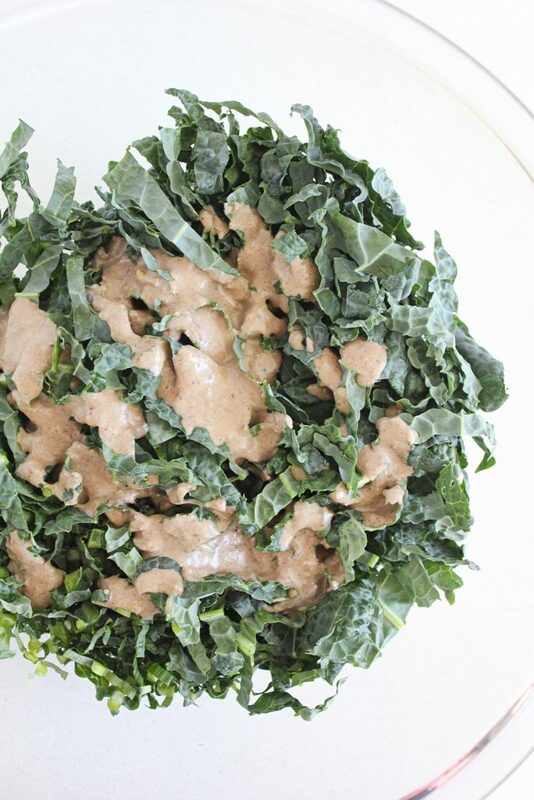 It contains iodine, a mineral that helps support our thyroid so that we can let the raw kale continue to do its job. Dulse is one of the ingredients that people most often tell me they omit from our recipes because they don’t know much about it, what it will taste like or where to find it. 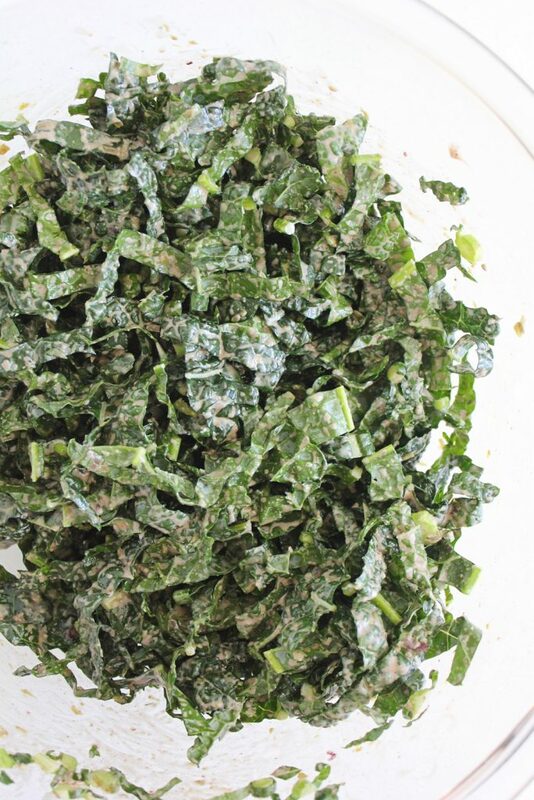 The recipes will usually work without it, but it is such a worthwhile ingredient to seek out (along with all of the sea vegetables in our recipes). Sea vegetables in general are so good for you, it’s no wonder they are becoming more popular and readily available. By weight, they are higher in vitamins and minerals than any other class of food. 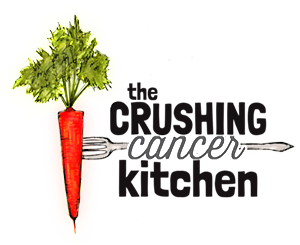 Their mineral balance is similar to human blood (just like the ocean water, itself), they are known to remove heavy metals and radioactive elements from the body (helpful for everyone, but especially when you’re getting treatment and tests for cancer). It is also very high in protein (I often add it to smoothies, you honestly don’t really taste it), calcium (in case you were wondering where the calcium comes from when you don’t eat dairy), iodine (it’s increasingly difficult to find food sources of this, and a healthy thyroid needs it), phosphorus (also needed for bone health), sodium (balanced out by the other minerals) and iron (it also contains the vitamin c to help absorb the iron). The sea(weed) salt that we gave a recipe for early on in the blog, is a great way to get some sea veg into your meals and decrease the amount of actual salt you use (because the seaweed replaces it). 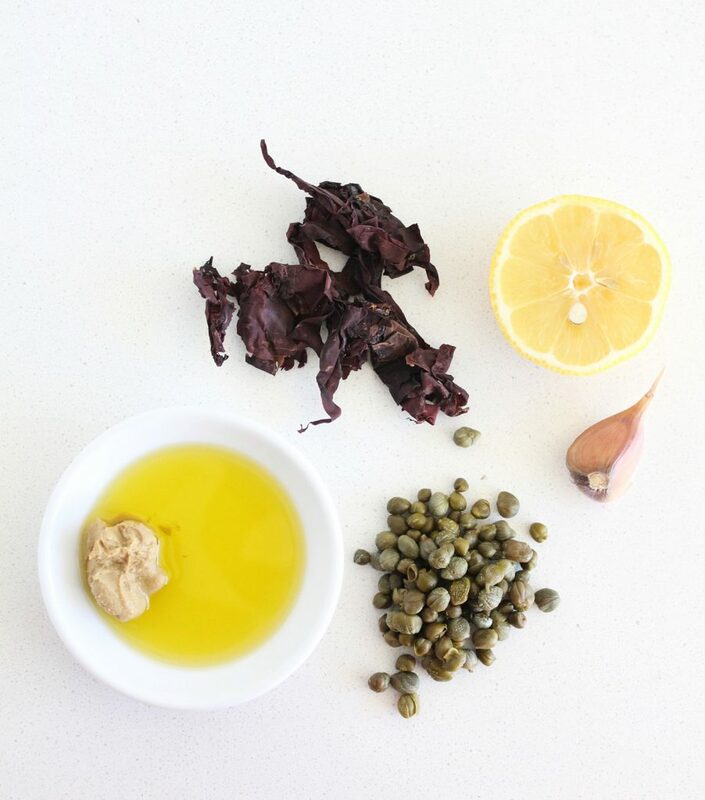 We have also used it in sauces and broths when we need a certain umami taste that we would usually get from meat sources. It’s sort of magical. 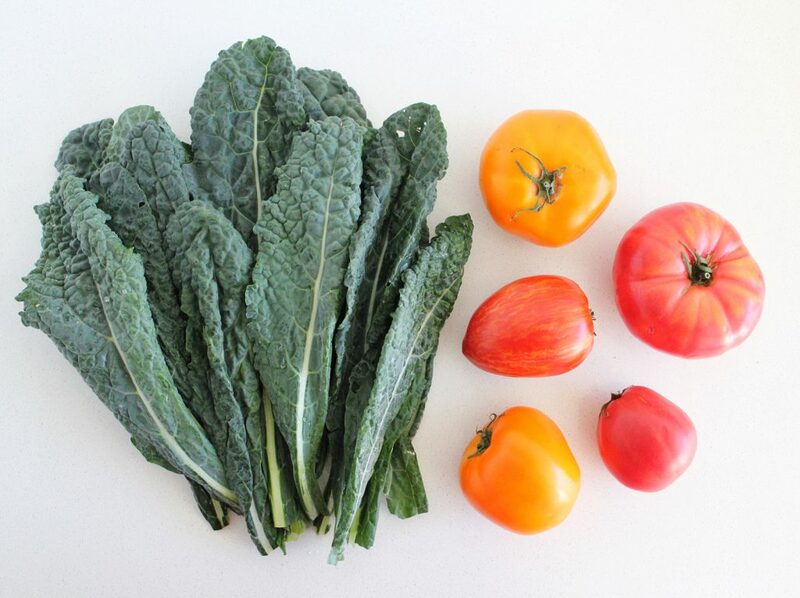 Back to the tomatoes (most people need a little less convincing to fit these into their diets). These ones are in season and taste perfectly delicious. 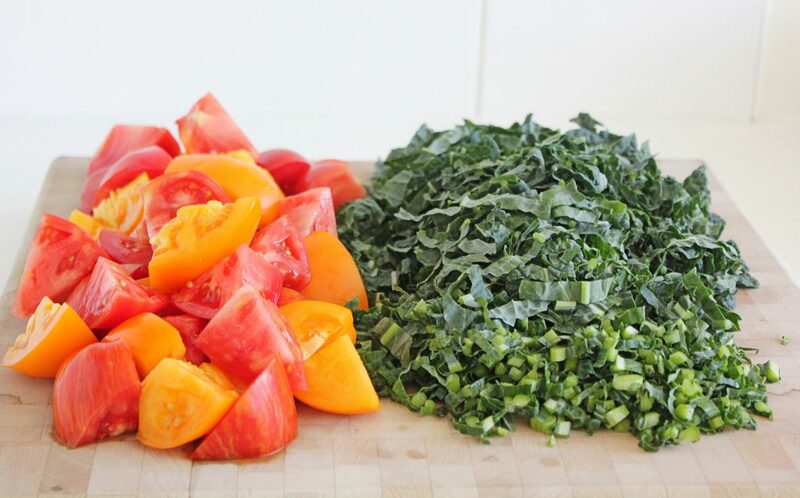 The kale and salad dressing are really just there to support the tomatoes and give them some explosive flair that they never saw back on the tomato vine. 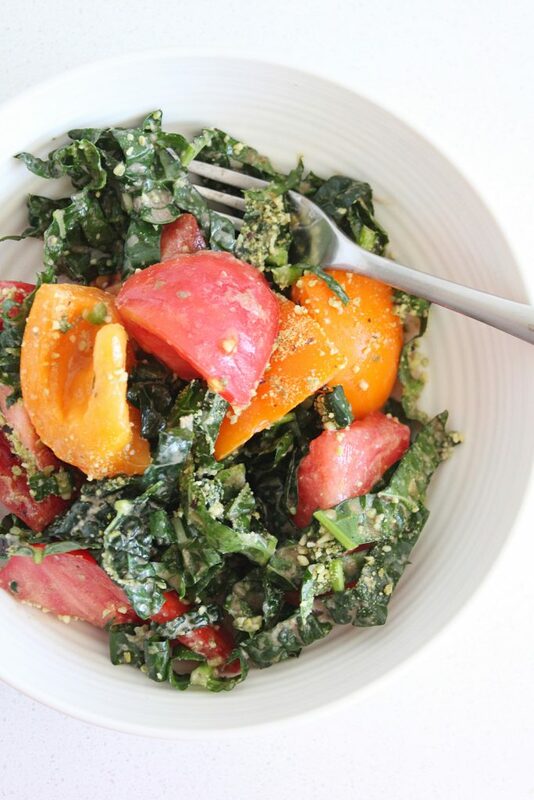 If tomatoes aren’t in season where you are, this salad would be good just as a kale salad or with roasted cauliflower, beets or winter squash. 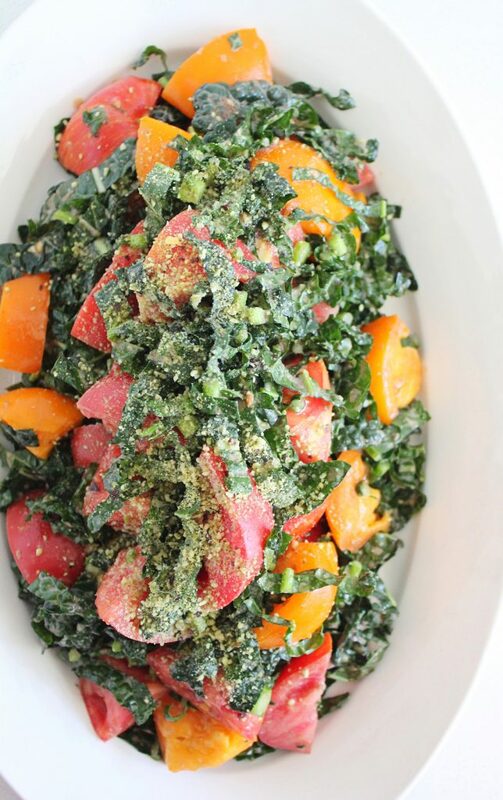 Another way to serve this is to slice the tomatoes and lay them out on a platter and then scatter the dressed kale over top. If you want to get a little more complicated/fancy and add some texture and protein, these or these chickpea croutons would be perfect in this salad. These walnut croutons would be delicious too. Or a handful of protein-rich hemp hearts to keep it simple. We topped it off with our plant-based parmesan (you guys. there’s seaweed in this too. ), which isn’t necessary, but is the ultimate gesture of self-love. 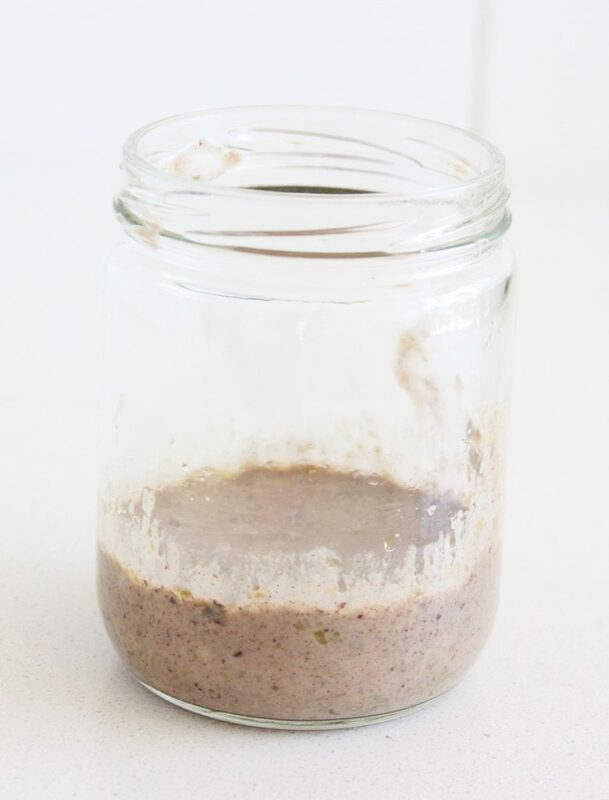 In a blender or using a stick blender, purée all of the ingredients together (season with sea(weed) salt if you need to). 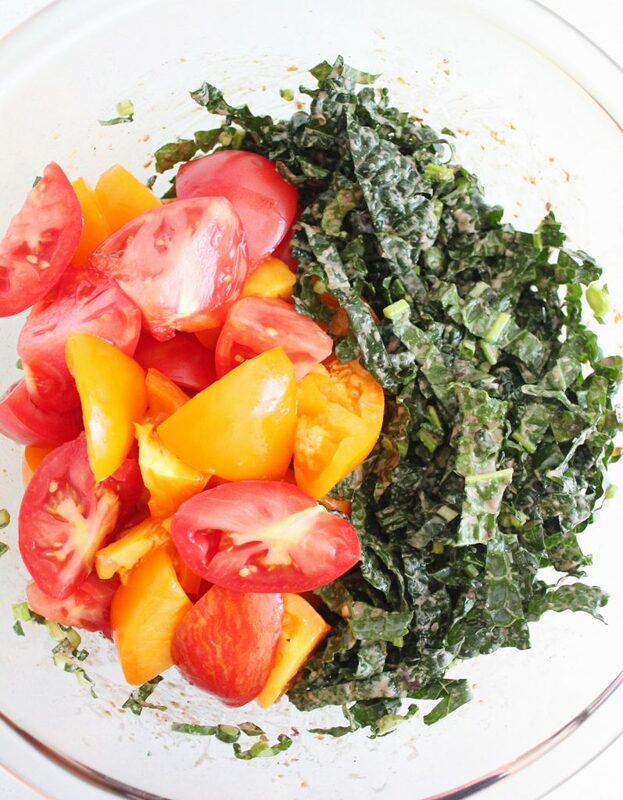 Toss together with the tomatoes and kale (sprinkle with plant-based parm) and serve immediately.